The president, currently in France, called it "poor" forest management. President Donald Trump woke up in Paris on Saturday in the mood to make threats toward California as it deals with deadly wildfires in Northern California and hundreds of smoldering homes in Southern California. In an angry tweet, the president threatened to pull federal funding for the state if nothing is done to "remedy" the situation. Trump was in Paris to take part in a commemoration for the 100th anniversary of the end of World War I. But his mind was still on the disaster unfolding out west in the U.S.
At least 25 people have been killed this week as flames from the wildfires engulfed their vehicles, homes and neighborhoods in Northern California, authorities said. There were more than 100 people missing in the region but by Saturday officials added that at least 70 people who were reported missing were located and are now safe. Brown requested a presidential major disaster declaration to "bolster the ongoing emergency response and help residents recover from devastating fires burning in Butte, Los Angeles and Ventura counties," his office announced on Sunday. Fire officials said Trump's statements, and remedies, were incorrect. On Saturday evening, Trump changed course, tweeting support for the firefighters, the homeowners and the tragic victims of the west coast wildfires. But on Sunday he tweeted about mismanagement again, writing, "With proper Forest Management, we can stop the devastation constantly going on in California. Get Smart!" Trump has made similar false claims about fire science and government resource allocation in the past, and fire officials have pushed back. 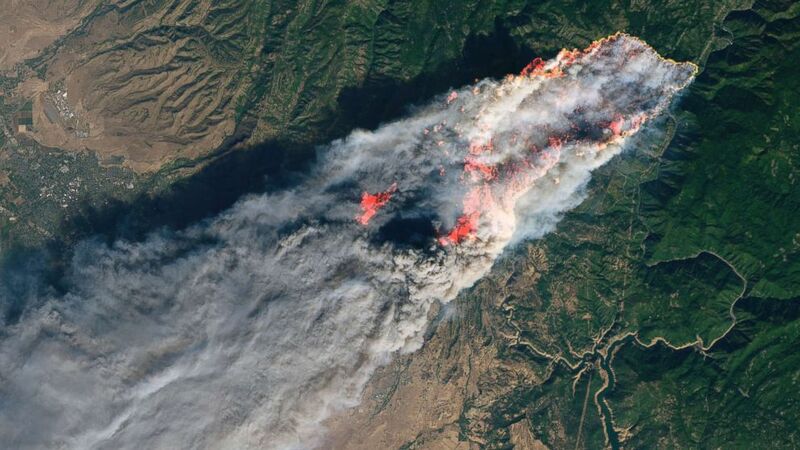 In August he tweeted, "California wildfires are being magnified & made so much worse by the bad environmental laws which aren’t allowing massive amounts of readily available water to be properly utilized. It is being diverted into the Pacific Ocean. Must also tree clear to stop fire from spreading!" "We have plenty of water to fight these fires," Deputy Cal Fire Chief Scott McLean said in a statement in August. Nevertheless, the Trump administration announced it would override the Endangered Species Act to provide extra water -- not needed by the fire crews. He also criticized California's handling of forest fires at an Oct. 17 Cabinet meeting. During an exchange with Secretary of Agriculture Sonny Perdue, Trump called California "a mess" and "disgraceful." "I say to the governor, or whoever is going to be the governor, of California: You better get your act together," Trump said. 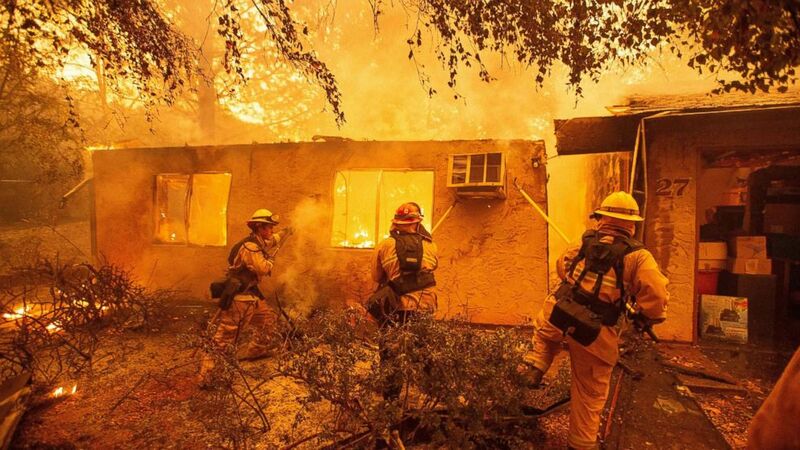 "Because California, we're just not going to continue to pay the kind of money that we're paying because of fires that should never be to the extent [they are]." Trump has long feuded with Brown, a Democrat, who is set to be replaced by fellow Trump antagonist Gavin Newsom. The Democrat was elected to the office last week. Newsom was previously married to former Fox News host Kimberly Guilfoyle, who now dates Donald Trump Jr.
"It's costing our country hundreds of billions of dollars because of incompetence in California," Trump said in that Cabinet meeting. It's unclear where Trump was getting the figure of "hundreds of billions of dollars." Cal Fire's operating budget for 2018-19 is $2.3 billion. Trump's tweet ironically comes while he is in Paris, the namesake of the Paris Climate Agreement, under which nearly 200 countries agreed to curb greenhouse gas emissions in order to combat climate change. The agreement was signed by the U.S. during Barack Obama's administration, but Trump pulled the country out of the agreement in June 2017. 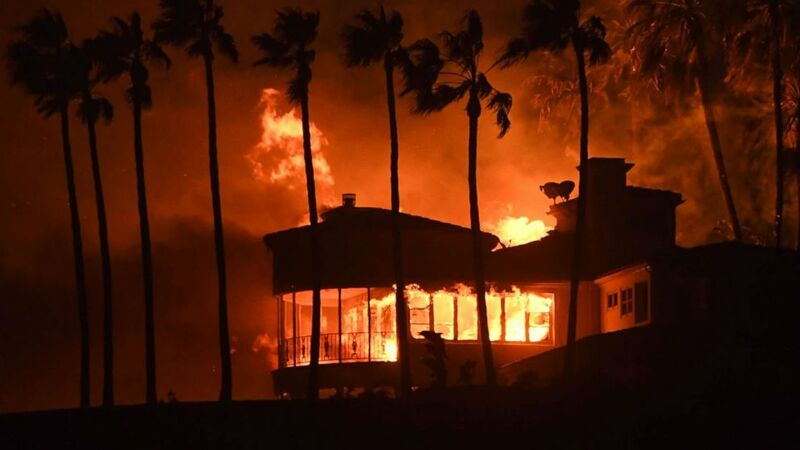 (Robyn Beck/AFP/Getty Images) A house burns during the Woolsey Fire on Nov. 9, 2018 in Malibu, Calif.
Michael Mann, an atmospheric science professor at Penn State University, told PBS' "NewsHour" in August that he believes climate change is contributing to the increased seriousness of wildfires. "We're not saying that climate change is literally causing the events to occur," he said. "What we can conclude with a great deal of confidence now is that climate change is making these events more extreme."